Kellen would love an adaptive bike to cruise the neighborhood with his 2 older brothers. 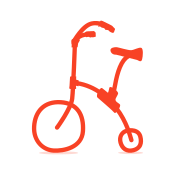 He is unable to walk/sit independently so we would love an adaptive bike that he can grow with. Sorry I couldn’t make it! Looks like you had a wonderful turnout. Wish we could make - enjoy the event. Hope the event has an awesome turn out! Best wishes and lots of luck on your fund raiser.